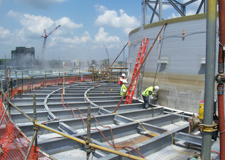 As the acknowledged industry leader, Spider provides complete suspended access solutions for any power generation project, ranging from scheduled outages, routine maintenance, or emergency repairs. 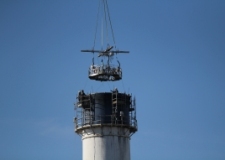 Whether internal or external access is required to the power plant’s stacks, chimneys, boilers, or tanks, Spider work baskets, swing stages, and custom platforms can provide the safest solution to maximize the plant’s productivity. 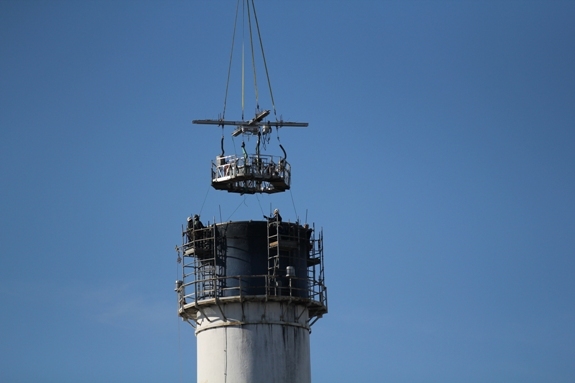 Spider developed a complete suspended access solution including a circular modular platform, a custom float platform with increased capacity, numerous traction hoists, a Beta Max material hoist, and an ST-17 work basket to enable internal inspection and repair work on the chimney. 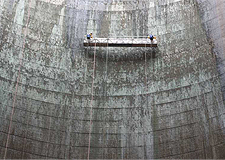 Spider custom-engineered a circular platform with corner adapters and extended parapet clamps, provided eight modular platforms powered by SC1000 traction hoists, and conducted Competent Person Training to enable finishing work on the fiberglass tank. 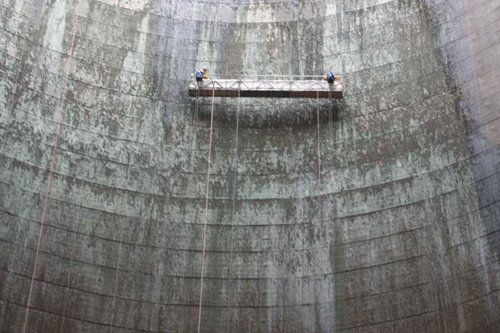 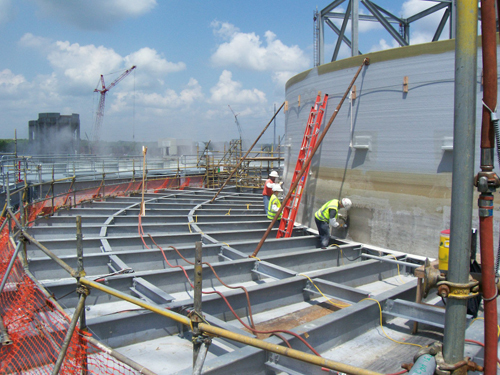 Spider incorporated standard rental equipment with custom features to provide a complete suspended access solution for inspection, repair, and coating work on the sloping surface of the cooling tower. 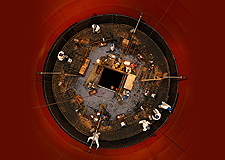 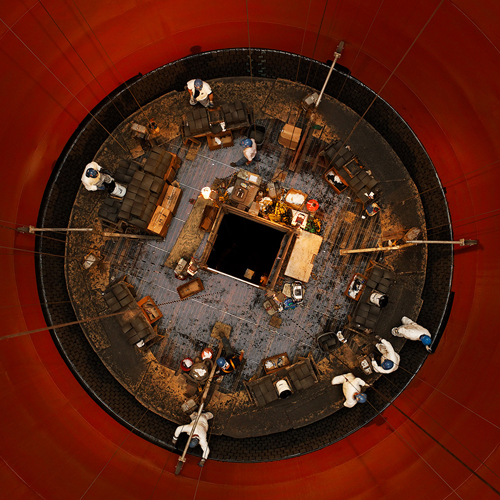 Spider engineered a massive 31-ft diameter custom circular float platform equipped with nine SC1500 traction hoists, grated decking, a square access hole, and increased load capacity for blasting, cleaning, brick laying, and inspection on the power plant’s stack.